Is there a HelpOut Tab module I can use on my Drupal powered site? Give customers direct access to your best online support resources with LiveHelpNow's HelpOut Tab. Display help options to visitors in a snappy right tab that's easy to spot and works intuitively. 1. 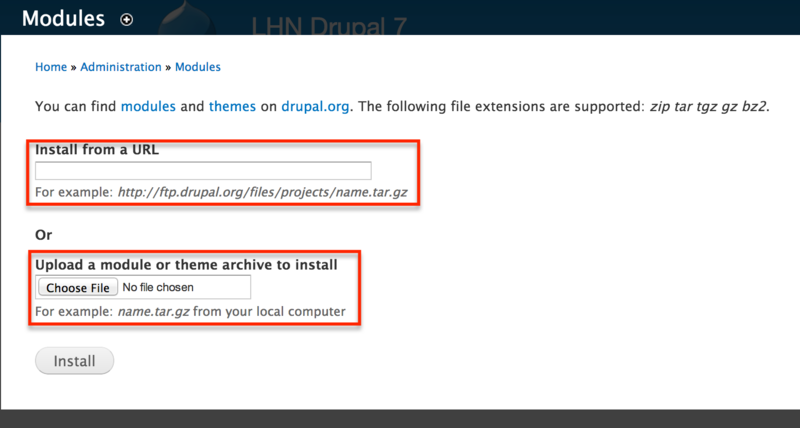 Download the Drupal module. 3. 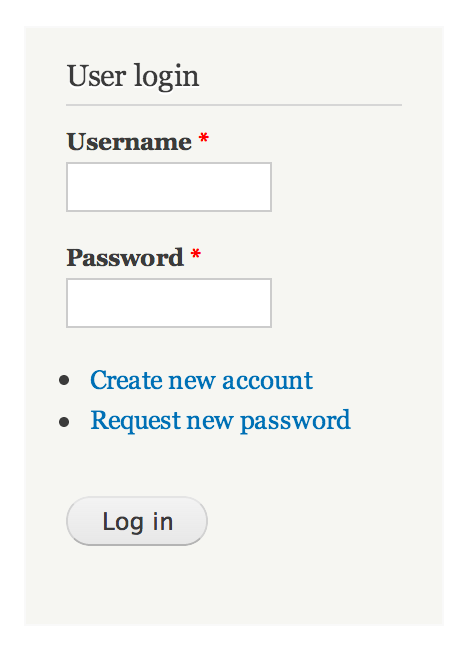 Login to your Drupal website as an administrator. 4. Get to the modules page. 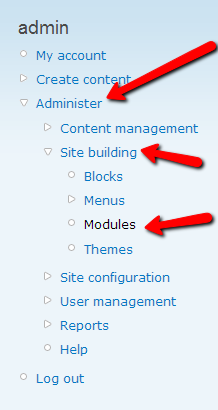 (Version 6): Go to Administer -> Site building -> Modules. (Version 7): Go to Modules -> Install new module. 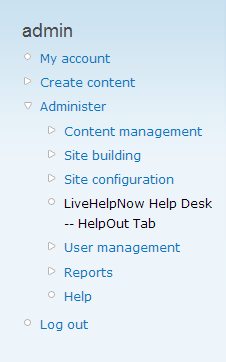 (Version 6): Enable the LiveHelpNow module and click "Save configuration". 1. 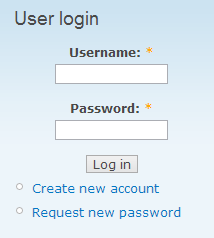 Login to your Drupal website as an administrator. 2. Get to the LiveHelpNow module. 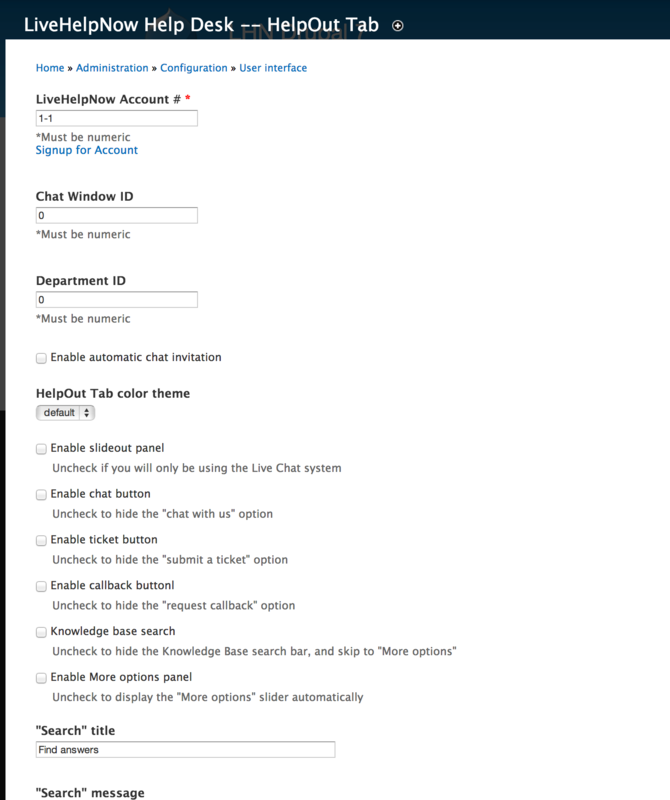 (Version 6): Go to Administrator -> LiveHelpNow Help Desk HelpOut Tab. 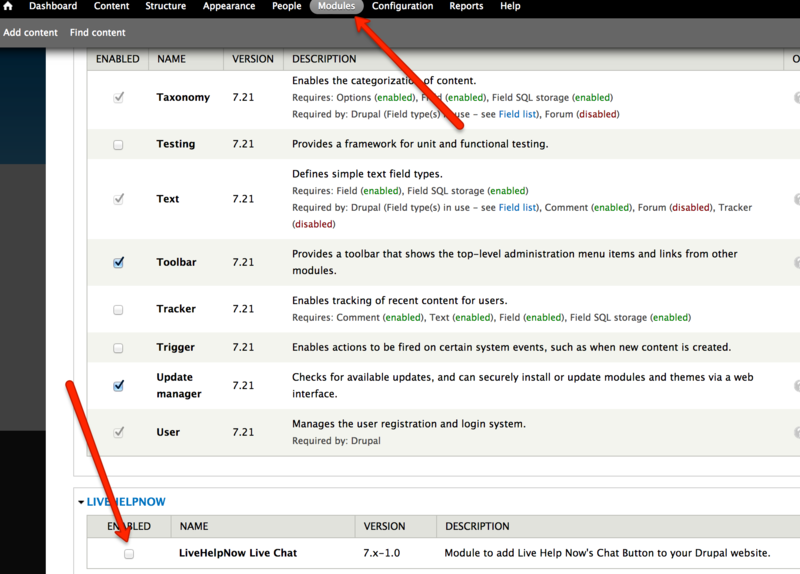 (Version 7): Go to Modules and enable the LiveHelpNow module. 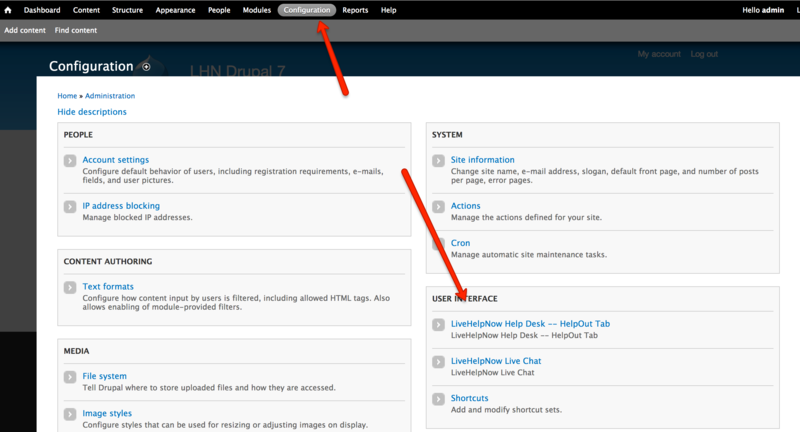 (Version 7): Go to Configuration and select the LiveHelpNow module under User Interface. 3. Fill out the module form. 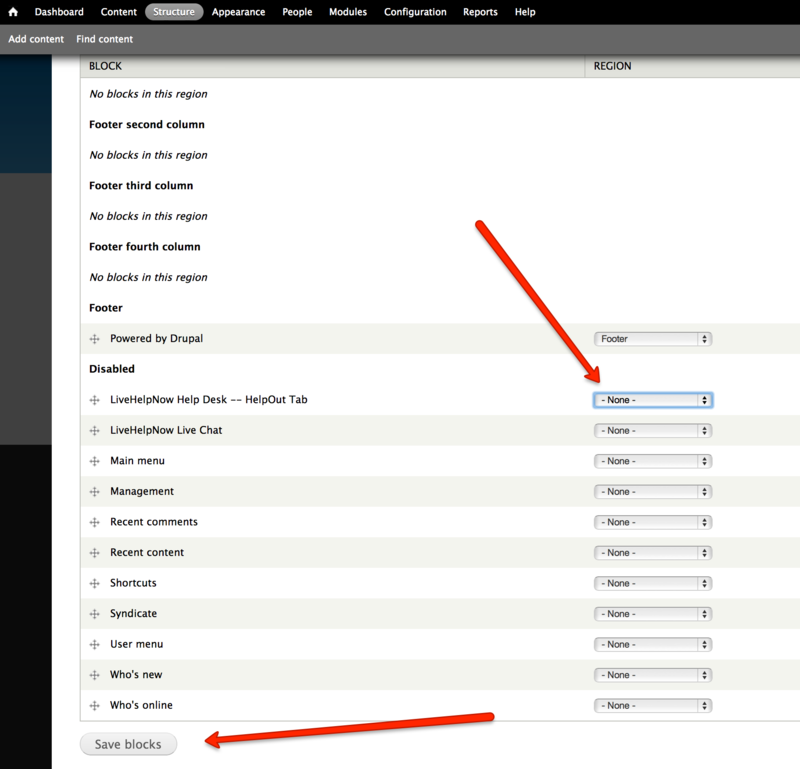 (Version 6): Fill out the module form and click "Save configuration". (Version 6): Fill out the module configuration form. 4. Get to the site building blocks. (Version 6): Go to Administrator -> Site Building -> Blocks. 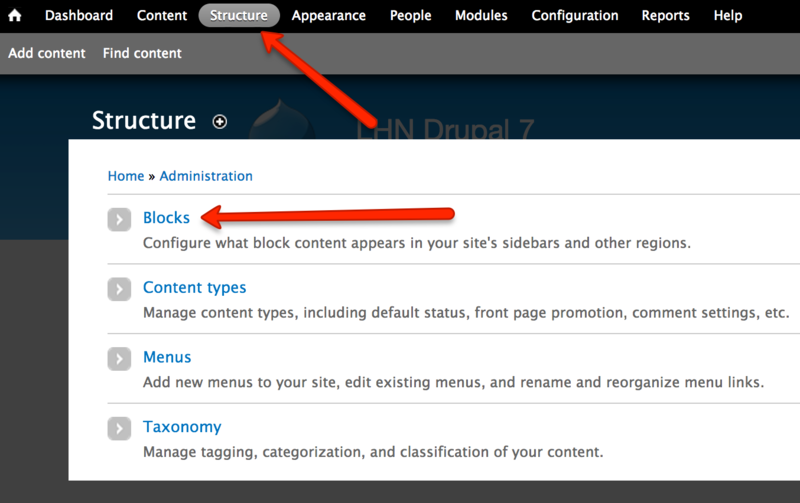 (Version 7): Go to Structure -> Blocks. 5. Find LiveHelpNow and save the block. (Version 6): Find the LiveHelpNow module under "Disabled". From the drop down, select the block section you would like the button to appear in and click "Save blocks". (Version 7): Find the LiveHelpNow module, change the region to your desired region and click "Save blocks". 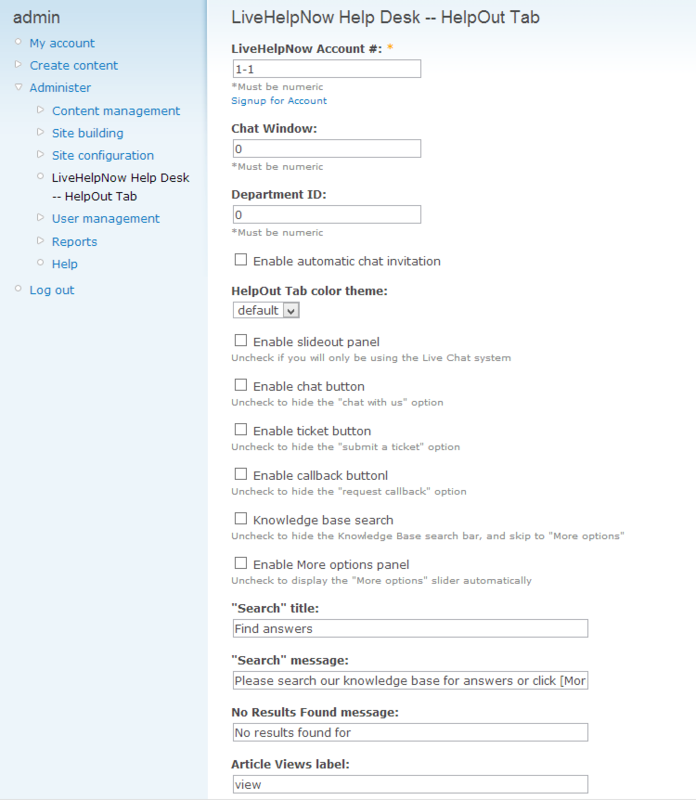 If you would like to install the Chat Button plugin for Drupal, please click here.